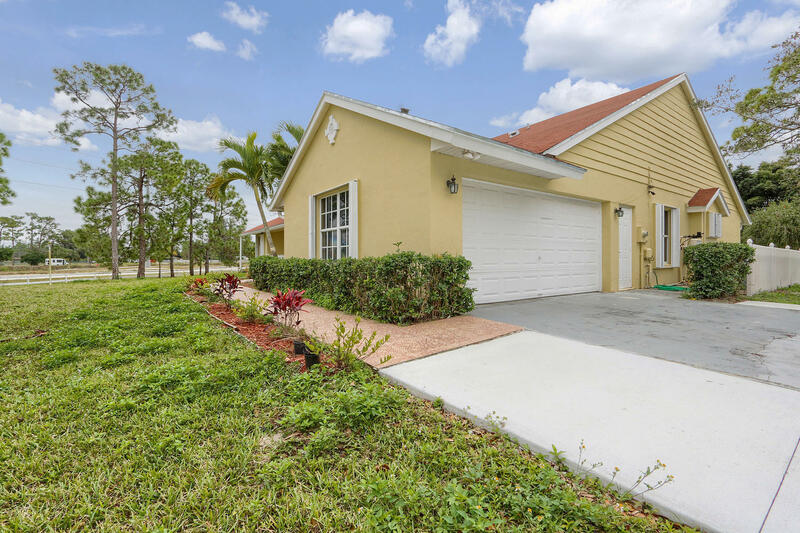 All The Acreage homes currently listed for sale in West Palm Beach as of 04/21/2019 are shown below. You can change the search criteria at any time by pressing the 'Change Search' button below. 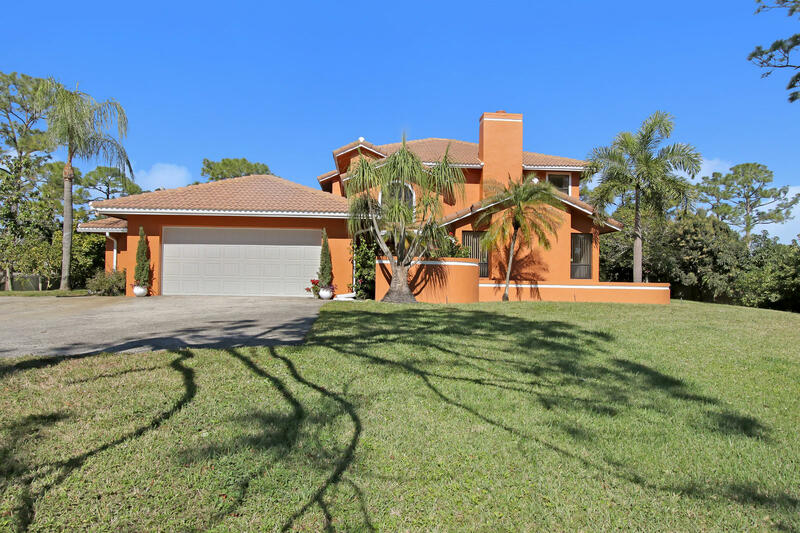 "This BEAUTIFUL 5 bedroom and 4 bathroom home is ready for your private oasis style of living. This expansive home features a beautiful remodel featuring a brand new kitchen including 2017 appliances, cabinets, and countertops. All BRAND NEW bathrooms throughout the home including a gorgeous cabana bath for those family pool days. Speaking of, this beautiful pool has just had a makeover with an expansive patio area for all of those BBQ and pool days. We can't forget a gorgeous one bedroom and one bath RENOVATED guest home right off the back of the pool. New water system, NEW AC's. one A/C for the upstairs master and one to control the downstairs area all on an oversized lot. 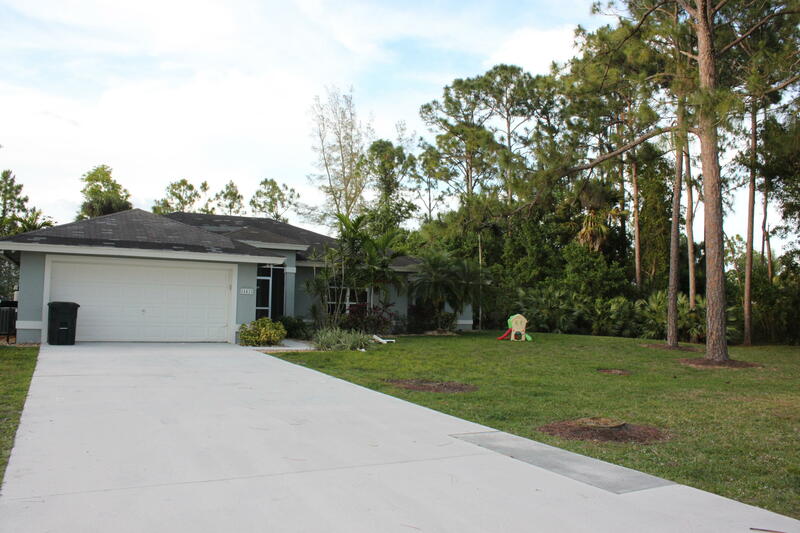 This oversized lot features an incredible array of fruit trees and foliage so do not miss out. Sizes are approximate." 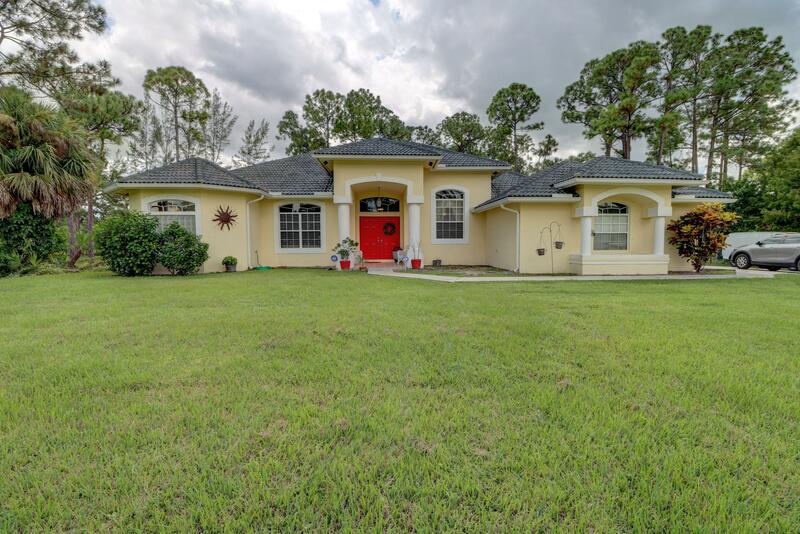 "This great custom home is perfect for the family who needs more room! Nearly 3800sf under air, huge master suite, four large bedrooms plus den/ofc or 5th br. Wide open floorplan with soaring ceilings and enormous 700sf+ family room. French doors open to the park like yard from the family room and from the master bedroom sitting area. Deluxe kitchen w/ granite counters plus huge quartz island with prep sink and room for stools. New kitchen appliances including wall oven and cooktop, brand new porcelain plank look tile, large walk-in pantry, bedroom #2 is 2nd master suite and Br 3 & 4 share a jack and jill bath. Lg utility room w/ utility sink, sprinkler system from canal, circular drive & more!" "Charming home on 1.4 acres. Fast closing, move right in. Look at the size of the driveway! Perfect for your limo etc." "This Gorgeous Home sits on 1.25 manicured acres on a canal for uber privacy with spacious 2 car garage on the side of the house. As you enter, the open-concept Kitchen with vaulted ceilings provides a light and bright space which has newer appliances. Some of the more prominent features include, a beautiful corian counter top with a raised bar, all stainless appliances, and crown molding throughout. Enjoy an evening out on the covered/screened-in Patio, and pool area with privacy fence. 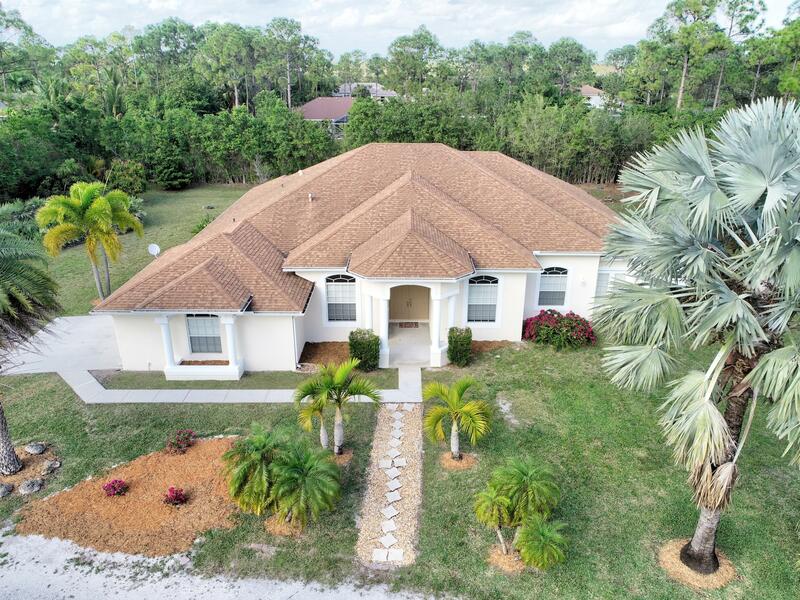 Living is easy in this impressive, generously spacious residence.The open floor plan encompasses three spacious bedrooms and a den/office with plenty of room for study, sleep and storage, three full luxurious bathrooms.Built in 2003 all cbs construction schedule your tour today.Click on the virtual tour"
"Recently updated beautiful spacious home tucked away in Loxahatchee available to call your home! This amazing 3 Bed (4th potential in Den), 2 Bath, high-ceiling, wood flooring in all the living spaces, & bright tiles in the bathroom & separating areas. 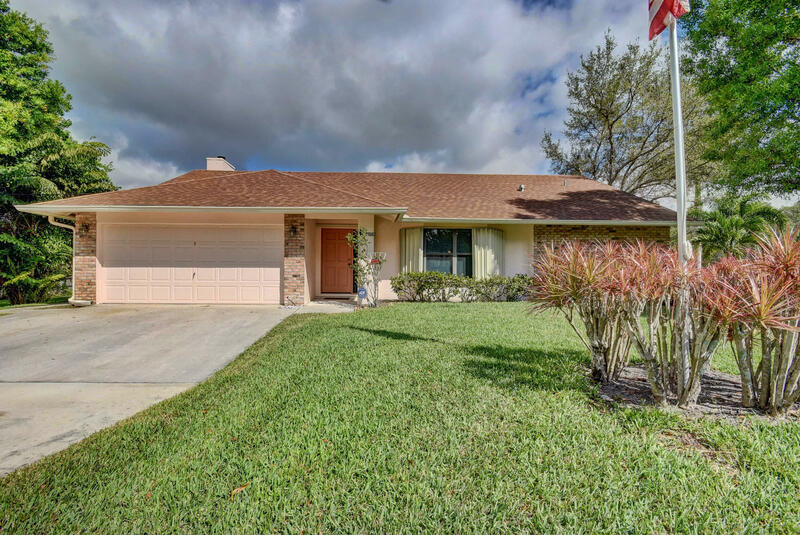 The home has had several upgrades of new light fixtures, fresh paint in the bedrooms & bathrooms, new landscaping, a children's safety fence around the oasis-like pool, & a fully updated Kitchen (painted cabinets, solid surface counters, stone backsplash, new lighting, & accent ceiling paint). Bonus!! There is a 50 AMP Service added in the garage.Owner-Occupied. Dog on property. Supra-Access. 24HR notice for access.Contact Jennilee JP Perez, Realtor Keller Williams Jupiter for access 561-386-7276"
"Amazing split floor plan! 4 bedroom, 2 bath, 2 car garage home. **NEW ROOF OCT 2018**Formal living & dining rooms, family room, kitchen with breakfast bar and nook, inside laundry room, tile throughout, alarm system, Vaulted ceilings, French doors to patio, . Master boasts his & her sinks, seperate tub, separate shower. The patio is tilted and screened enclosure. EXTENDED DRIVEWAY HOLDS UP TO 6 CARS!!! DON'T MISS OUT ON THIS CORNER LOT BEAUTY!" "New Construction Home, Buyers who use in house lender will be allowed to select Flooring, Cabinet Colors, Bathroom Tile and Countertops." 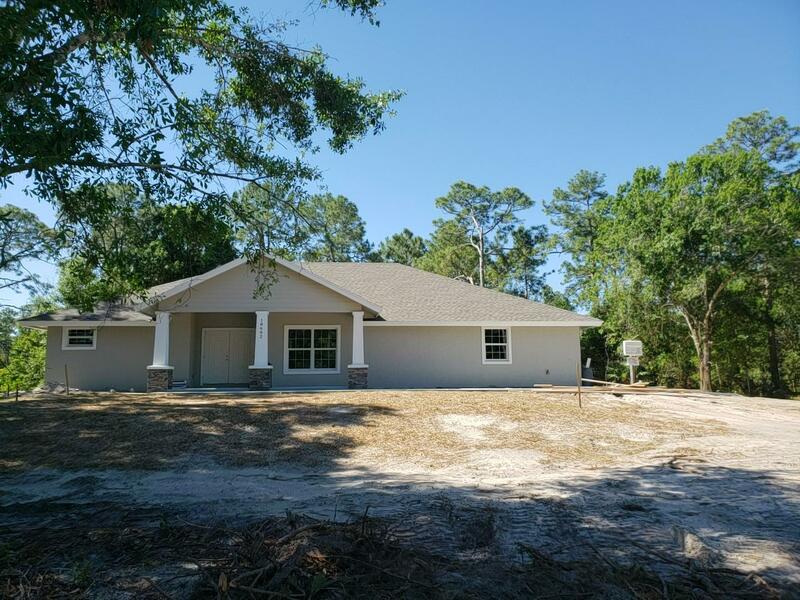 "Enjoy relaxed living in this lovely 3 Bedroom 2 Bath plus den home built in 2018, and located on over an acre of land. 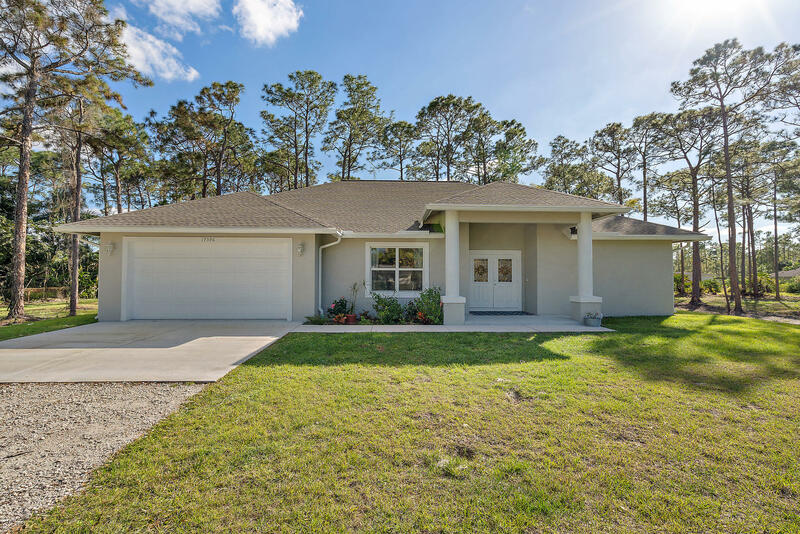 This single story home features insulated impact windows, wood grain ceramic tile, 42'' kitchen cabinets, granite countertops in kitchen and baths, walk in pantry, breakfast bar, stainless steel appliances, and a large covered patio perfect for entertaining. Relax in the spacious master bedroom, which boasts a large large walk in as well as wall closet. Master bath offers an extra large step in shower, and dual vanity. Split floor plan with 2nd bath doubling as a cabana bath should you choose to add a pool. Current owner has cleared the lot , added 12 trucks of fill, installed an electric fence, and enhanced the water filtration system." "Welcome Home! Your new home epitomizes all The Acreage has to offer. 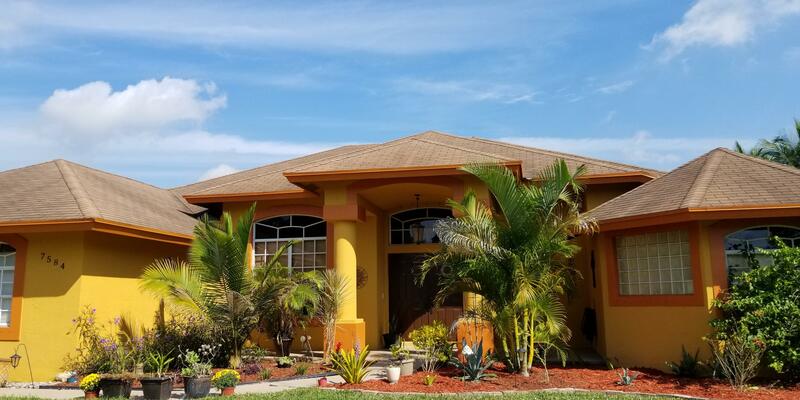 Ideally situated on 1.25 acres & located on a non-through street, privacy & space meet pride of ownership in this 4 bdrm 2 bathroom 2,286 LA sq ft - 2,930 Total sq ft 2 car garage home. Walking through the double french door entry-natural light throughout-tastefully provided by the skylights & ample windows-Sure to catch the eye. A clean crisp open floor plan design with Volume ceilings. Formal Dining area & Eat-In kitchen for entertaining or a more intimate feel. Split bdrm floor plan with guest bdrms & bathroom on East Wing. Large Master Bdrm on West Wing. Leading out to the backyard the Tiki Hut & Fire Pit accentuate the exterior. Playground area & ample room for pool-Your New Home Truly Offers It ALL! Priced 2 Sell!" "This beautiful home has it all! 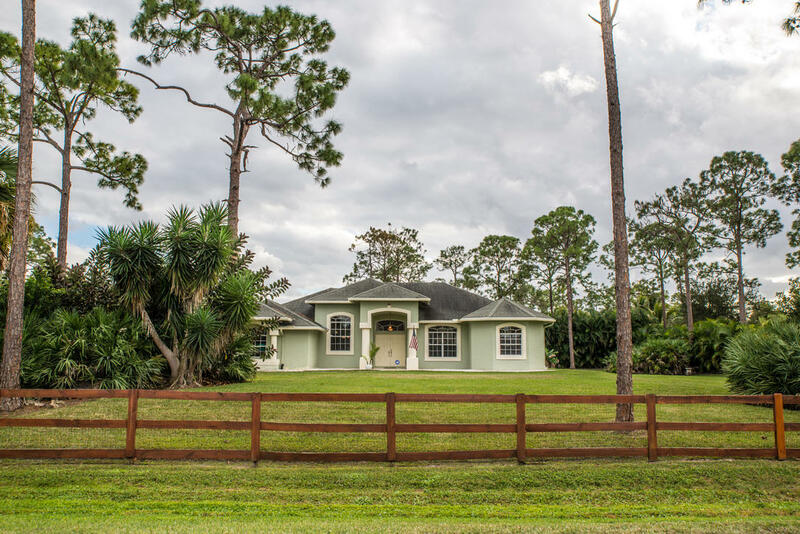 Located down a quiet street in the Acreage offers you the peaceful country life you've been looking for. 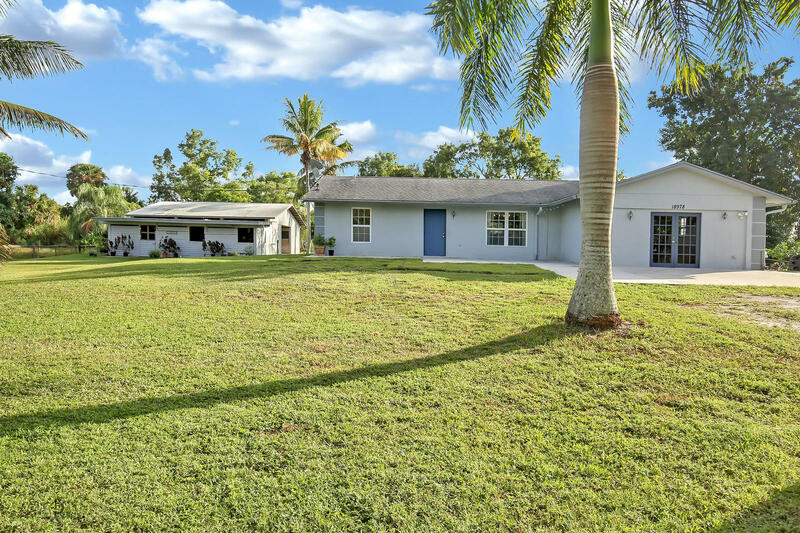 Sits on 1.15 acres with a full sprinkler system, beautiful palm trees and a shed. Upgraded with real hardwood floors, stainless steel appliances, and granite countertops in kitchen and bathrooms. Even has a brick fireplace and an air conditioned garage. Screened in heated saltwater pool and spa. Accordion hurricane shutters and an ADT alarm system. Don't forget the huge concrete driveway with a separate RV/boat pad for parking. This is a must see!" "STOP LOOKING! ! Walk into this beautiful home, 20 ft. ceilings, 3 siding glass doors. YOU CAN'T BUILD A NEW HOME FOR THIS PRICE. MANICURED YARD, JUST MOVE IN! SPRAWLED OUT RANCH HOME, NO STAIRS TO CLIMB!!!!! NO HOA, bring your furbabies, boats & RVs, toys, BUILD YOUR OWN Pool. 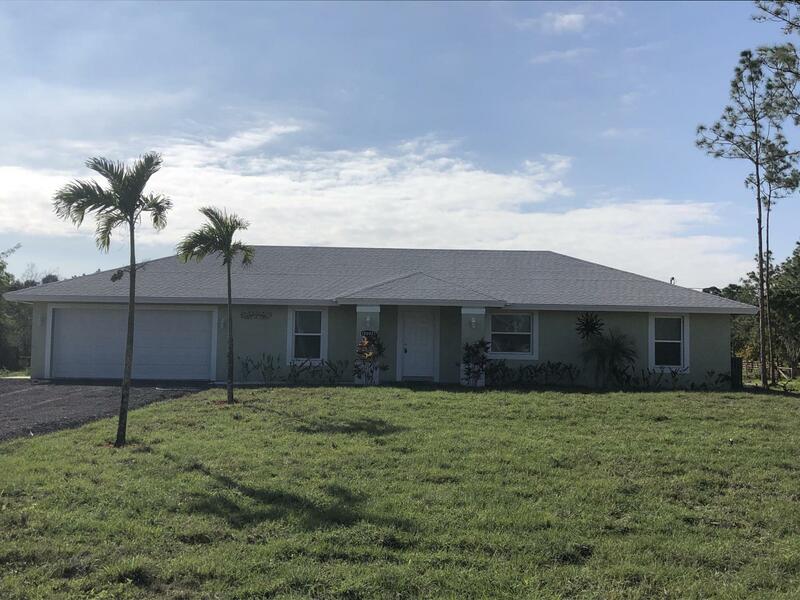 PAVED ROAD IN FRONT OF HOUSE, split BEDROOM plan, large back patio, mature exotic fruit trees, large set back CORNER LOT, almost one and a half ACRE. 2015 AC, WATER Filtration, FRESH PAINT inside/outside, updated kitchen cabinet, new guest & hallway bathrooms. Tall ceilings, 3 guest bedrooms and a full bathroom on opposite side of the Master bedroom separated by breakfast room, formal dining room, formal living room, great room, huge walk-in closets, ceiling fans in all bedroom, great/family room and breakfast roo"
"Brand new 4/3 on a paved street in the acreage. Wonderfully designed with top of the line finishes. Granite countertops, stainless steel appliances, new flooring. Great schools, parks/ ball fields. With nearby shopping, gas stations and a library in the area. This is a must see hurry it wont last long!" 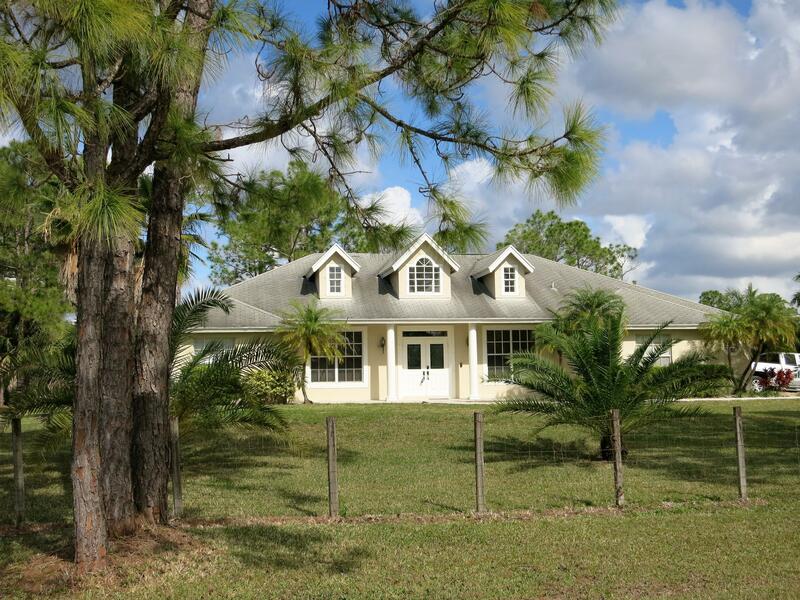 "Beautiful split-bedroom home on a sprawling 1.49 acres of property w/a great corner location! From the curb, this dormer-style home w/lg front porch is warm & welcoming. Enter thru elegant double doors (hurricane rated) into the foyer, w/Formal Liv & Din Rms on either side. Ahead, step into the desirable open plan Fam Rm, Kit & Brkfst Nook-perfect for easy living & great entertaining! 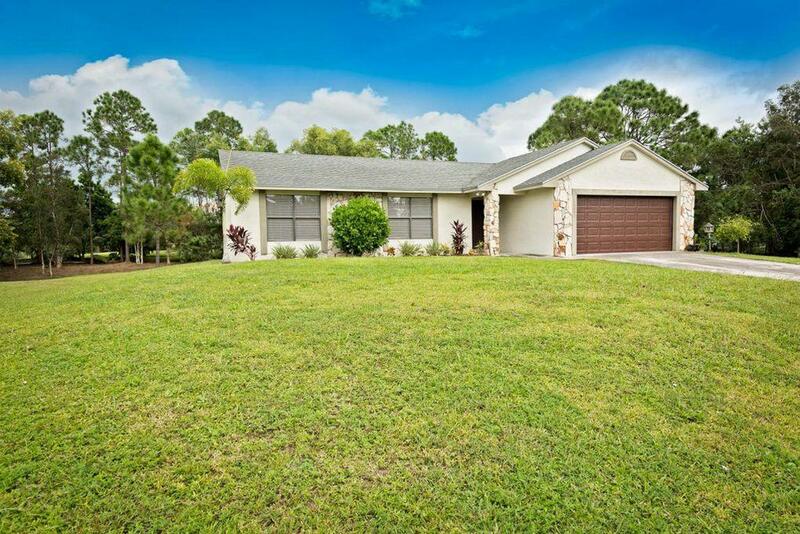 The spacious kitchen has granite tops, s/s appliances & desk area w/undercabinet lights. The Fam Rm features a stylish built-in & slider to the patio. Relax in the Master Suite, w/laminate floor, walk-in closet & updated Bath w/jetted tub & spa shower. Enjoy tranquil views of the pretty property & pond on the lg covered patio. Shop just 7 min from this convenient location! $500 CARPETING CREDIT @ CLOSING!" 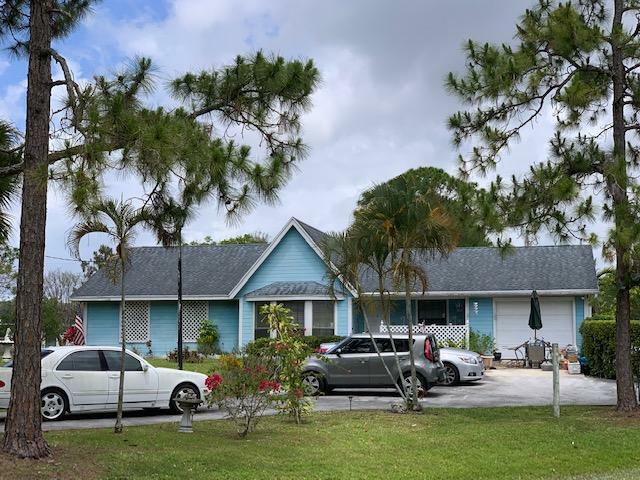 "Well maintained three bedroom, two bath pool home with vaulted ceilings, ceiling fans, an attached two car garage and a large detached garage/workshop. Both bath room showers have been updated. This 1.19 acre lot is located on a paved road and is completely fenced and has a full concrete drive." 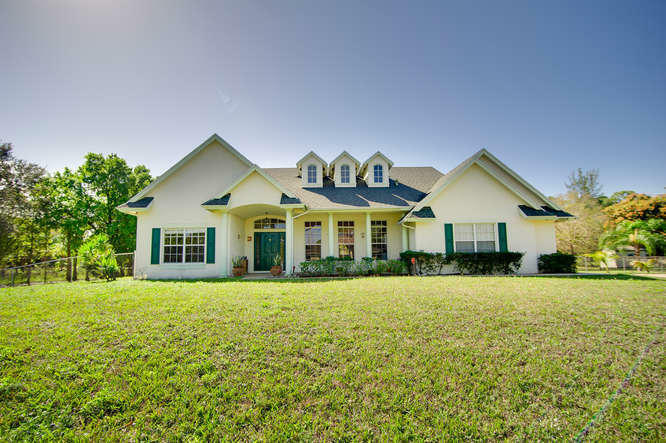 "Don't miss this rare opportunity to own a meticulously maintained home, fully fenced lot, situated on nearly 1.5 acres with a detached 8-stall barn! This home not only features a spacious, open concept floorplan with an updated kitchen and bathrooms, it also includes a fully converted, air conditioned attached garage that can be used as a 4th bedroom, office or playroom! Located south of the busy new city of Westlake and less than a half mile from the White Stables Equestrian Center. 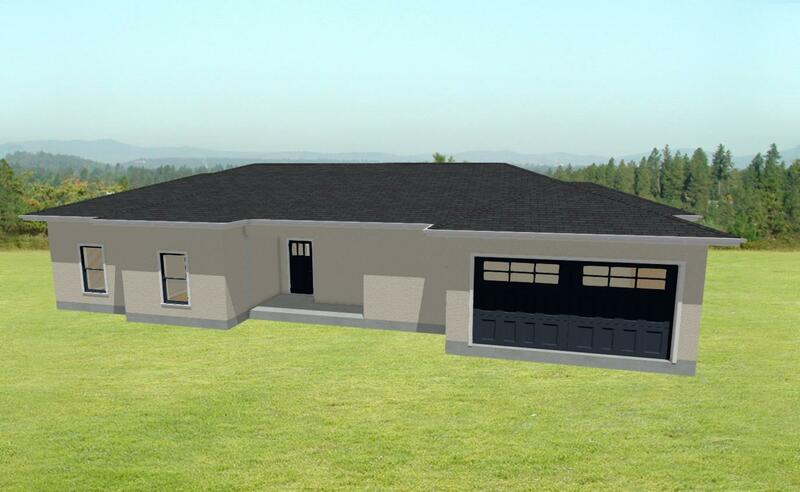 Use your new, 8-stall barn with tack and feed room, for your own horses or to make extra income boarding horses during horse shows or for horse owners in this equestrian friendly area! New roof in 2006. This home has it all!" "MOTIVATED SELLER! Beautiful 3 bedroom, 2 bathroom home in move in condition. Recently painted inside and out with new flooring. This home is in move in condition. This property is very rare. There are few homes for sale with a street to street lot. Access from both 91st Street N and Murcott. Perfect for a home based business or RV. 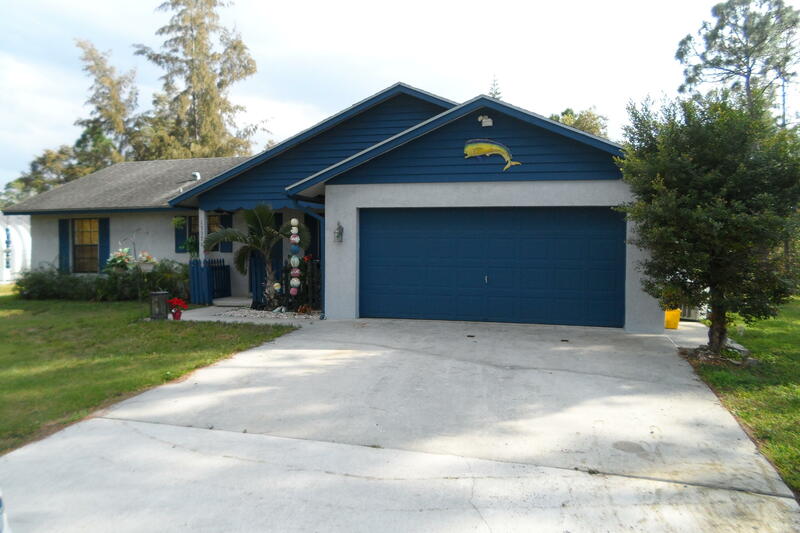 Oversized kitchen, interior laundry, 2 car garage , large storage shed and the property is fully fenced. Also, 30/50 amp power pedestal for RV shore power. Come take a look. You will not be disappointed." 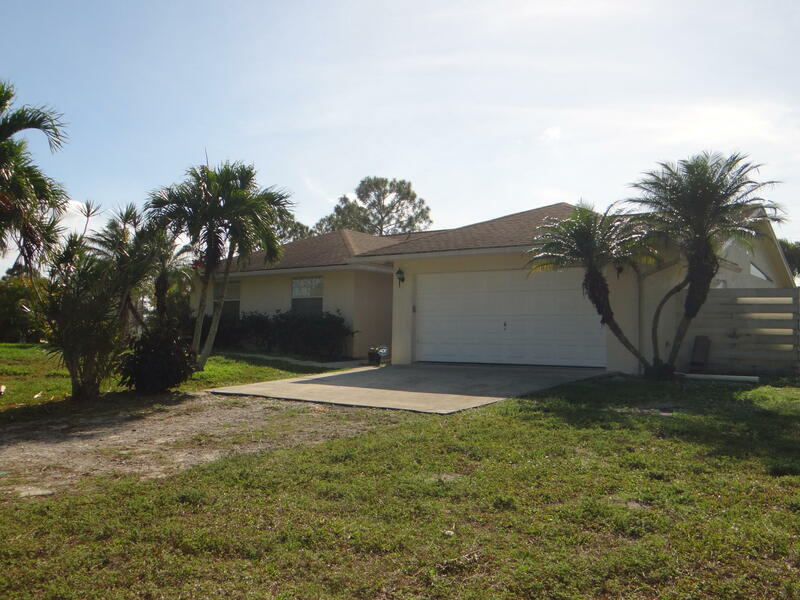 "Fabulous 3 bedroom 2 bath home in the Acreage that sits on 1.19 acres . An insulated, hurricane impact rated garage door was installed in 2015 as well as a new water system. Laminate and tile flooring throughout. This home is on a paved road close to Northlake. Plenty of room for a pool and all your toys...no HOA!" "One story 3/2/1 single family home on just over one 1.25 acre is perfectly situated in a secluded copse of trees and country splendor. 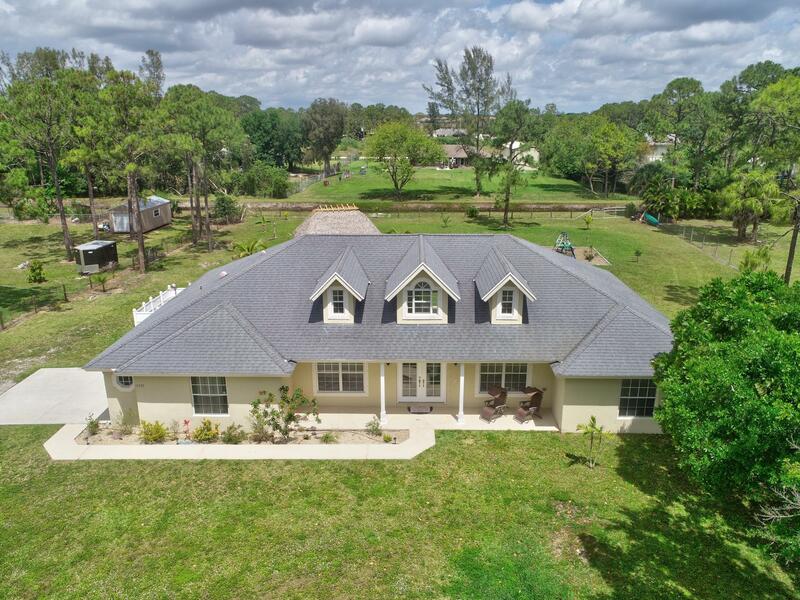 Open floor plan with vaulted ceilings in living room, large family room perfect for entertaining, formal dining area, covered front porch perfect for relaxing, paved driveway, large yard plenty of room for a pool, with NO HOA, no restrictions and tons of potential!"